A blend of Irish Grain & Malt Whiskeys hand selected by the head distiller. It is predominantly aged in Bourbon barrels with a small amount of Sherry barrel aged whiskey in the mix. A 4-9 year-old blend, this Whiskey has single malt in it that has been produced on the stills that you are looking at in the Church. On the nose this specially blended Irish Whiskey gives fresh citrus and piny notes with subtle spices and dried fruits giving a light fruit cake finish. On tasting the Distillers Choice you will experience a smooth, warm, light oak flavour with hints of green grape evolving to caramelised pear. 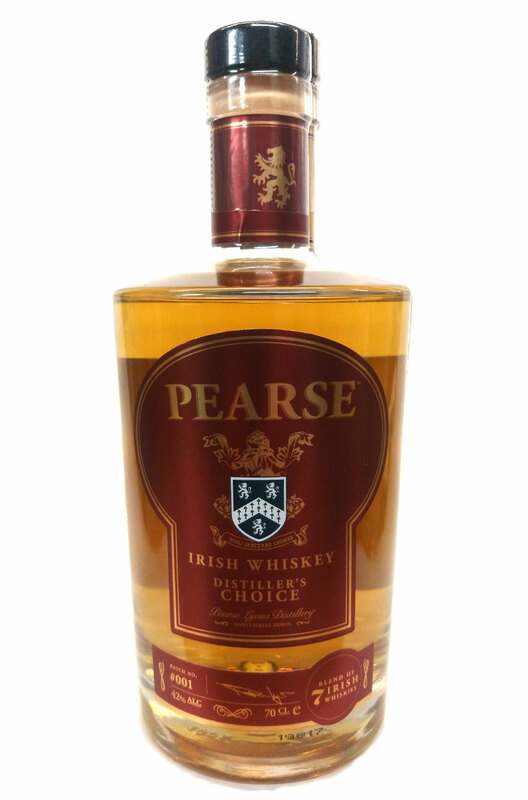 As Pearse Distiller’s Choice develops you will savour a hint of coca and dried fruits while finishing with notes of stewed apple, clove and custard.